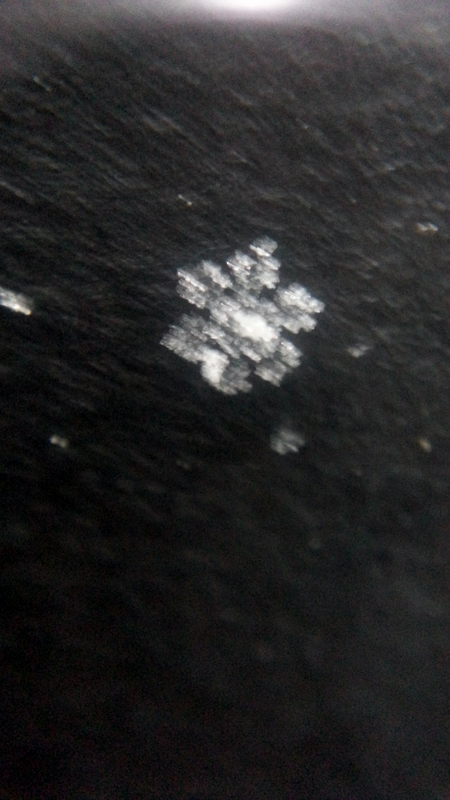 I don’t know where I first picked up the fact that snowflakes always form with 6 points. 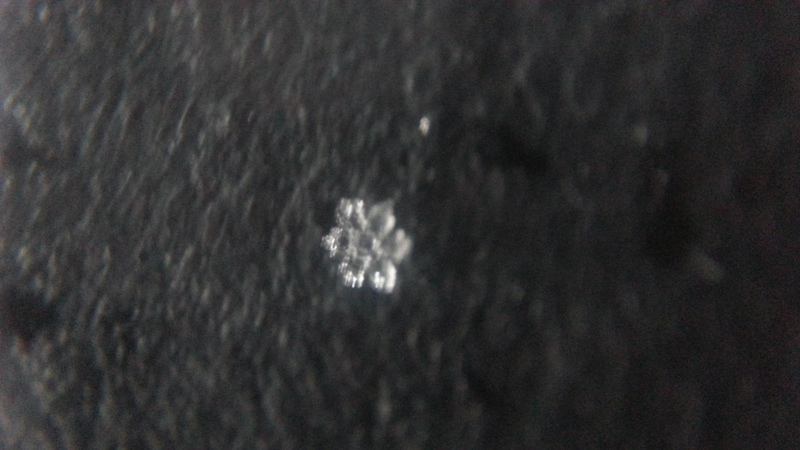 Maybe my parents or a teacher told me, but growing up in the mountains of Colorado I had many a chance to look closely at snowflakes and when they grow large enough it’s easy to see that snowflakes do indeed have 6 points. Imagine my shock when I was helping decorate for work and people wondered why I was so insistent in making snowflakes with 6 points. Didn’t everybody know? 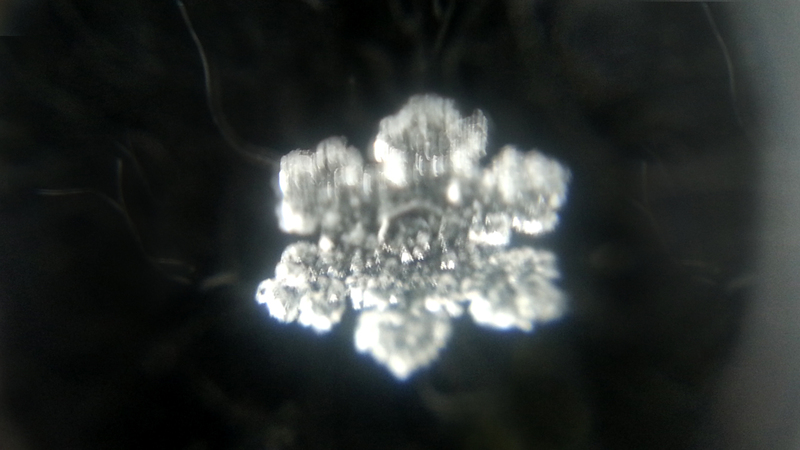 …apparently not, I polled my coworkers and not a one knew that snowflakes always for with 6 fold symmetry, let alone the reason behind this regularity. 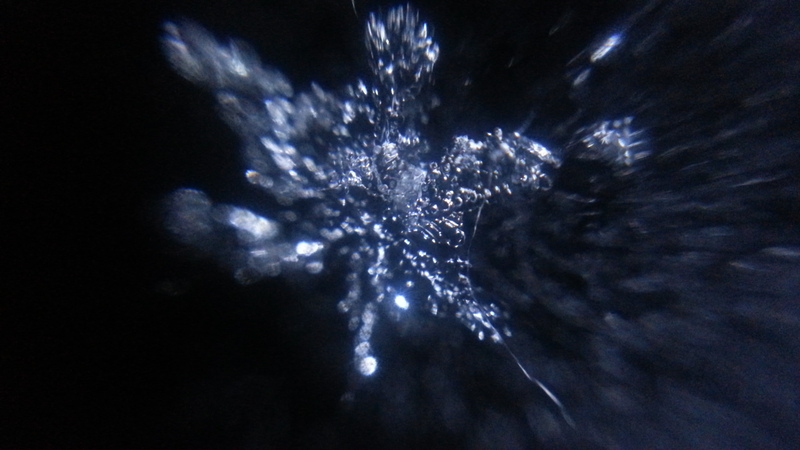 “Regularity?” I imagine you ask, “I thought snowflakes are all unique?” True they are, yet they all are based on a common symmetry due to the nature of water molecules. 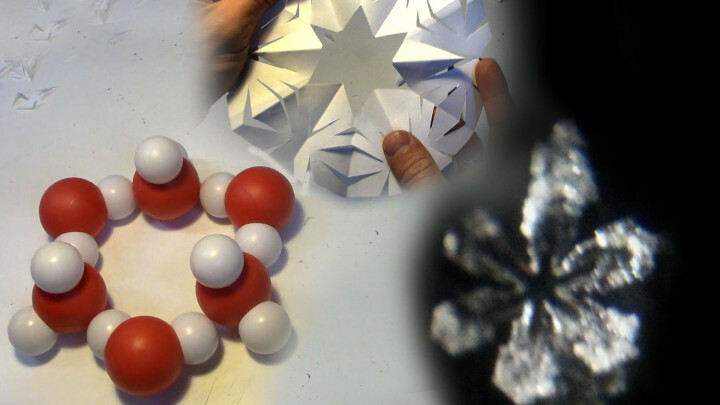 The long and the short of this experience is that I was compelled to make this video to show both how to fold a 6 sided/pointed snowflake for fun, but also show how the molecules create the pattern and how to verify the snowflakes 6-sided nature with photography. 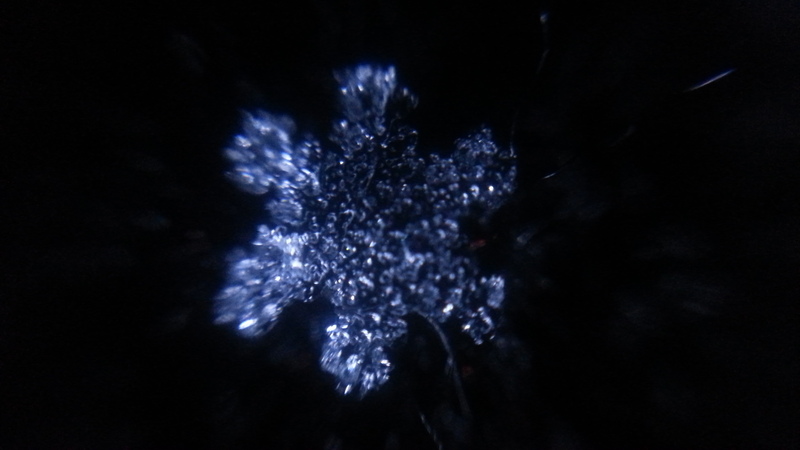 Experimental steps: I perform two demonstrations in this video, cutting a snowflake and photographing them. 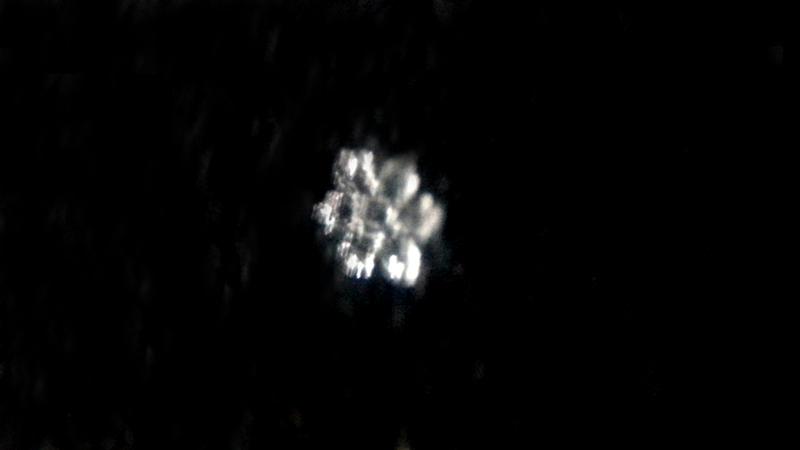 As such there two sets of experimental steps, I think the photography is of greater interest as there are a 101 versions of how to fold a snowflake out there, I wanted to include both for completeness. First you need to get a square piece of paper. The best trick for this stems from the fact that a square is made of two right triangles. Simply fold over one corner of any rectangular piece of paper so that one edge is folded over on itself. Cutting off the excess will give you a square when unfolded. Following the folding diagram below fold the basic shape according to one of the two methods below. In either method you may choose to use a protractor and pencil to mark the angles. In either case you should end up with a 30 degree angle at the narrow tip. Next cut off the tips to remove any remaining square feel from the paper. Finally cut out sections along the edges, being careful not to cut off the edge entirely as this will make the snowflake fall apart. 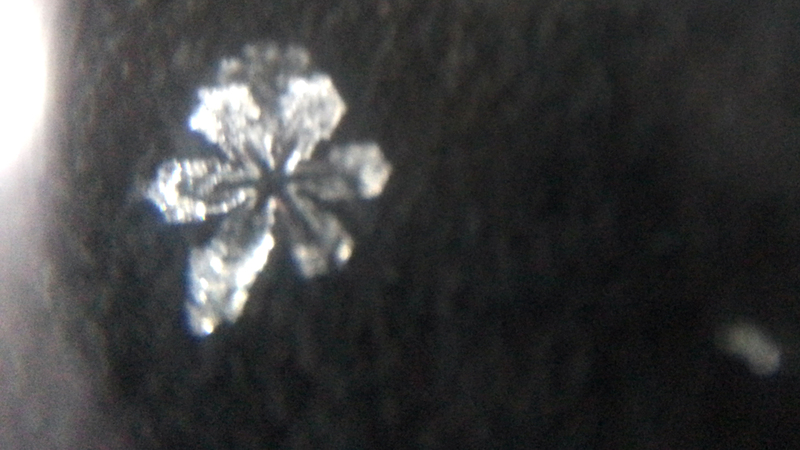 I find that lots of triangular cuts works well and mirrors the kind of structure found on real snowflakes well. You’ll need to begin by collecting the materials. I suggest getting the lense, tape, and a bobby pin in a little bag ready ahead of time. If you wait to get these items ready when it starts snowing it may not be snowing when you have everything ready. Now wait for some snow. As shown in the video this can sometimes take a long time. As soon as it starts snowing put the black cardboard to cool to the outside temperature. There’s nothing more frustrating than seeing the perfect flake and watching it melt as it absorbs the heat from the backdrop you are using for contrast. Make sure you’re phone has its case or cover removed so that the lense can sit against the cell phone’s camera lense. 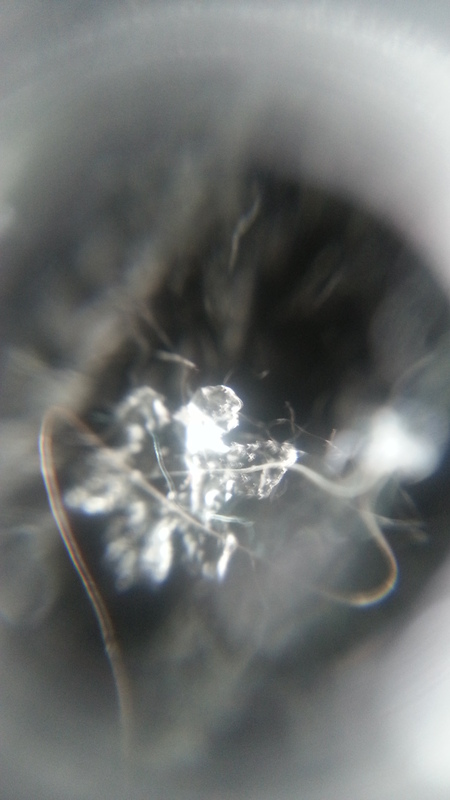 Inside or in a covered area, carefully insert the lense from the toy laser into the first notch in the bobby pin. The reason to do this step inside is because it’s easy to drop the lense while getting it set and the lense will quickly disappear in the snow if dropped. Next place the bobby pin/lense assembly on to the back of the cell phone so that the lense is directly in front of the camera aperture. Tape the assembly in place with the scotch tape. It works best if you can attach a piece on either side of the bobby pin but be careful not to cover the lense. 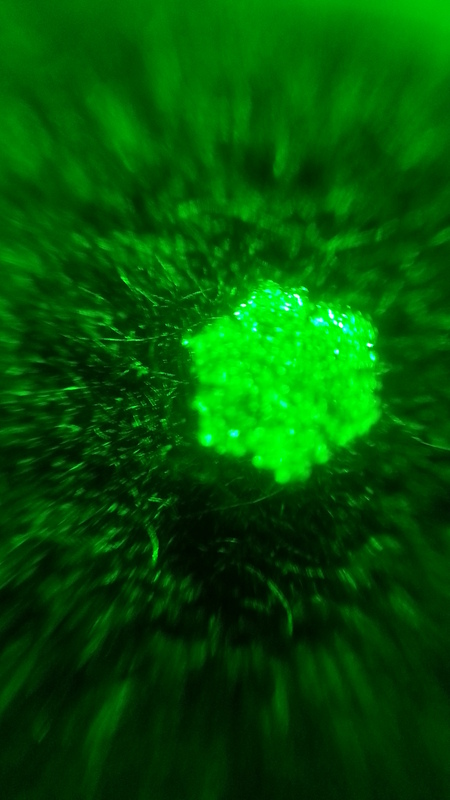 Next open the camera app on your cell phone and test the macro lense on something nearby. Again this is best to do inside in case something is loose or misaligned. Make alignment adjustments as necessary. Next return to the black backing. If the snowfall is heavy this may need to be dusted off before continuing. 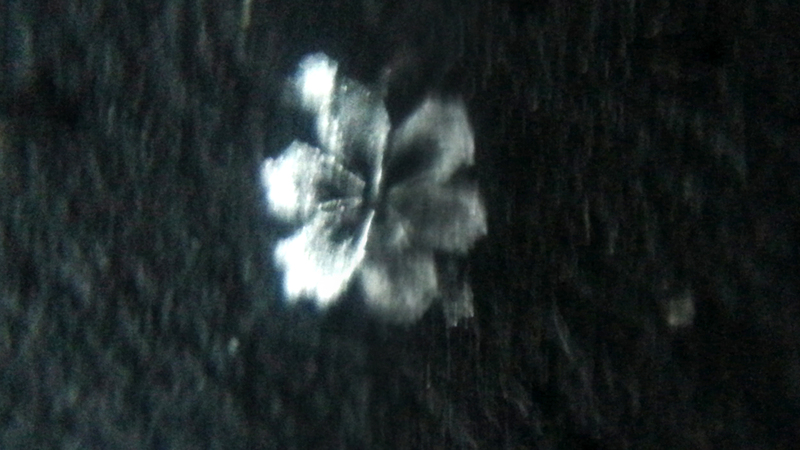 Then let snowflakes fall on the cool black surface and select your target. 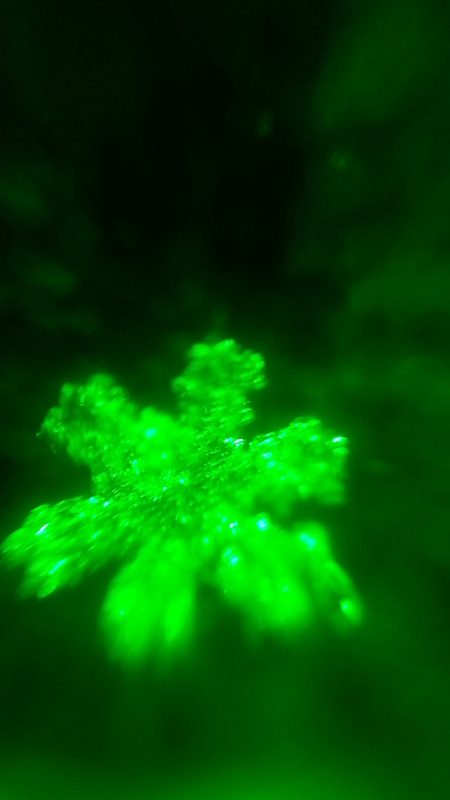 When you spot the snowflake of your choice you may either move your camera over it and arrange any additional lighting (flashlight) around the snowflake or you may move the snowflake carefully to a better location. 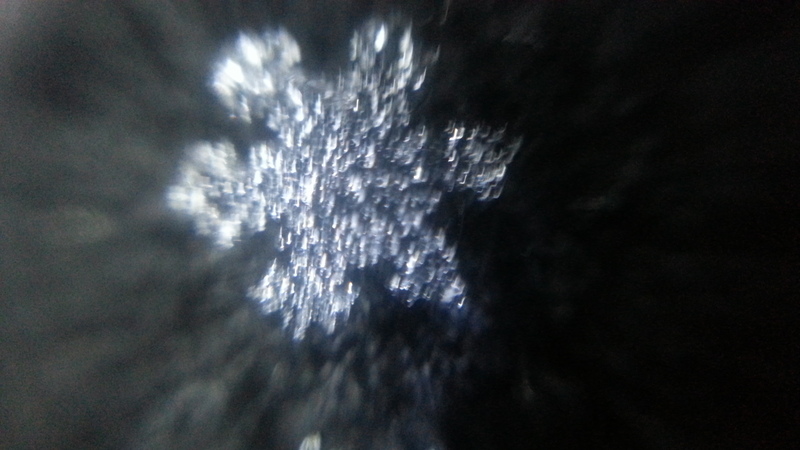 Once positioned bring your cell phone camera with the macro lense above the snowflake and snap away. 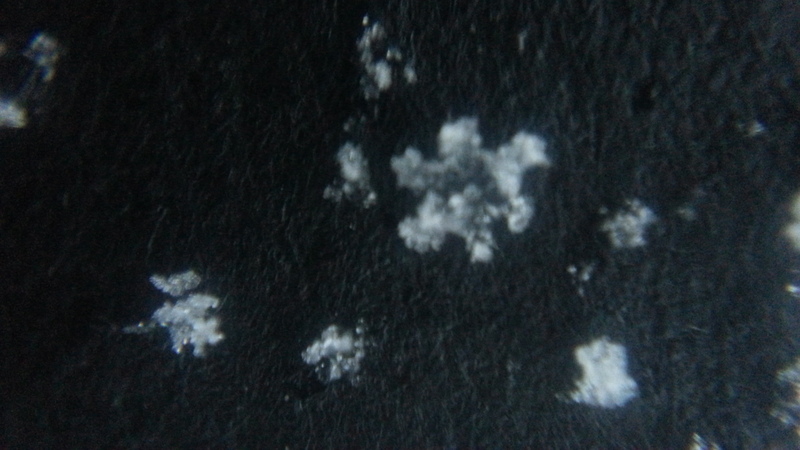 Here are some of the photos of snowflakes that I took. Next How to prove there is Iodine in Salt! whoah this blog is excellent i like studying your posts. Keep up the great work! You realize, a lot of people are searching around for this info, you could help them greatly. Useful information. Lucky me I discovered your site by accident, and I’m shocked why this twist of fate didn’t happened in advance! I bookmarked it.